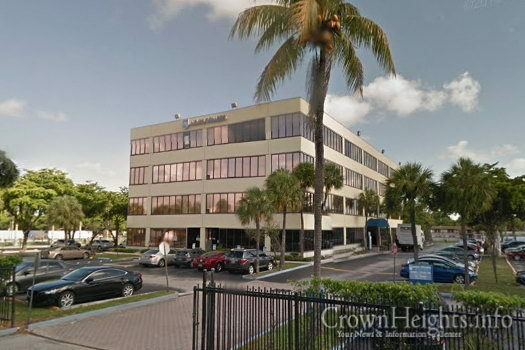 CrownHeights.info has learned that Lubavitch Educational Center, the flagship school for the Chabad community in South Florida popularly known as L.E.C., has purchased a four-story, 48,681-square-foot building less than a mile away from its current location near North Miami Beach. The institution paid $5.1 million for the property. 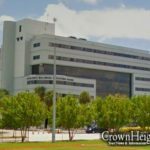 The building is located at 1525 Northwest 167th Street in Miami Gardens, a city which is adjacent to North Miami Beach, where the bulk of Miami’s Lubavitch community lives. 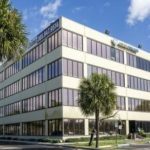 The building was purchased from an affiliate of Accesso Partners, a private real estate investment trust based in Hallandale Beach, though the sale has not yet cleared records. The price breaks down to $105 per square foot. L.E.C. 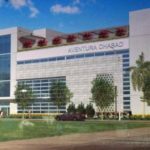 will use the building as an extension of its school, a source said. Wow! You just keep on growing! May you go from strength to strength! Interesting as I thought they were bankrupt. YOU ARE 100% TOTALLY RIGHT!!! THE BIGGER THE BUILDING THEY MOVE IN TO, THE WORSE THE SCHOOL GETS!!! Mazel Tov!!! This means that the school is growing bh and is continuing to flourish!! BH!!! Mazel Tov!! I am proudly sitting as an office manager at my desk in LEC, when an acquaintance calls me to read the article. Then I start reading the 3 comments and am shocked about the rubbish & lies that are being spewed from people who have ABSOLUTELY no idea of what they are talking about. I got so enraged, that I have to write back. So let’s take one lie or insult at a time! 2) you claim we waste money on things we don’t need and don’t pay our teachers..
I’m actually cracking up, because u are so narrow minded!! If we were so bad, why does our student enrollment soar every year? And because of soaring numbers with many happy parents, we HAVE to buy a new building!!! We are not such a bad school if we have a tremendous return of families every year, and have new families calling every day!! We can’t even keep up with the new students and start organizing class numbers, because every day, me or another department are receiving new families begging to join our school. So read this carefully!!! You better have a good comeback and know facts before you answer me in the negative!! You must be one of the people who have nothing to do, to speak so much Loshon Hara. I proudly put my name with my words!! Why don’t you? Oh, and another thing, I have personally worked with Rabbi Korf (our Dean) to help teachers financially (not in the form of a loan) as a gift. He has given many thousands of dollars to people in need! No questions, but does it immediately and makes sure they recive the money right away.. I happen to be in the business of helping people financially in my shlichus and in my School. Rabbi Korf does so much privately that no one has any idea about!! I am an offended proud member of my school!! As a parent of LEC I’d like to thank you for your comments and for putting those irresponsible people (1,3,4) in place. It’s shocking that people who consider themselves chassidim would post in such a hateful and damaging manner. It’s an embarrassment that we harbor such individuates and I can only assume it’s being posted by haters of Chabad pretending to be Chabad. LEC is a model school that does Chabad Proud. Good for you Feigie. It is so sad that someone so ill-informed could feel comfortable enough to spew such malicious lies. For 12 plus years, through times where many schools of all denominations were not able to pay teachers on time, LEC did not miss a paycheck. This was the result of sheer hard work and caring. B”H, the school has experienced tremendous growth, thus necessitating the purchase of a new building. Again, not the easy route, but necessary. May we go MeChayil el Chayil and have continued growth and hatzlacha in the new building.